Since the advent of keeping marine animals the progress for the most part has been slow and steady. However during the last two decades the advances in both technology and husbandry have occurred at a very rapid pace. Many hobbyists have contributed to these advances and these achievements have occurred for the most part either as the result of trial and error or as an attempt to replicate the processes and conditions that exist on the reef. As a result anecdotal reports of what does and does not work have been a significant factor in determining the state of the hobby. In science, one of the means for proving that something works is by replicating it. Unfortunately, in this hobby much time and effort has been wasted trying to replicate conditions or methodologies that ultimately proved to produce inadequate results when implemented over the long term. For the most part the parameters and conditions of a significant number of successful systems have not been pooled in one place to demonstrate what does and does not work. In addition the factors that are crucial to optimize such things as growth, coloration, polyp extension, reproduction, etc., have also not been looked at in terms of what is working in a large number of captive systems. The genesis for my new book Ultra Marine Aquariums was the result of my travels around the U.S., Canada and Europe where I was fortunate enough to see many impressive tanks using a multitude of systems. While viewing these tanks, it was readily apparent that one of the biggest factors behind the success of these tanks was how conscientious each owner was. This almost fanatical attention to detail allowed the owners to describe the equipment used, the inhabitants and the parameters of the water without having to look at any log or record of what they had or were doing. The level of success achieved in these tanks was not accomplished immediately, but for the most part was the result of long learning process. In this book, I have attempted to not only show what each owner is doing, but also to give a general idea of what might be considered optimal parameters. In addition I tried to show ans many different systems and methodologies as possible. As a result, what I hope to dois to allow the reader to be able to achieve the same level of success as these tank owners without having to go through all of the trial and error. In addition to looking beautiful, each of the tanks chosen for this book had something unique about them. This could be the manner in which they were filtered or lighted or even how water motion was supplied. 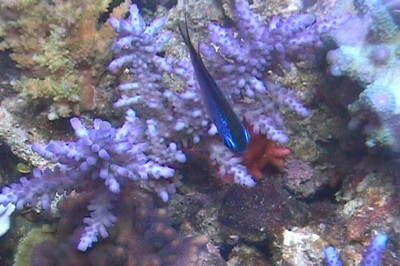 Their choice of corals or fish also played a role in their selection. The last factor involved in the choices was that the tank had to be enjoyable to look at. While the health of the fish and corals as well as the aquascaping plan were important, the tanks chosen also had to have the ability to captivate the viewer for a long period of time. The sense of awe produced by each of these tanks was one of the key reasons for their selection. During the compilation of this book, I attempted to compile and average much of the data from 50 very successful tanks. While the methodologies on these systems varied, the level of success did not. Much of this success is no doubt due to the conscientious nature of these hobbyists as well as their attention to detail and their willingness to spend a lot of time to make their tanks successful. This aspect of their success will be difficult to replicate. While those aspects of success are difficult to quantify, many of the parameters within their tanks can be measured. In addition the photographs of each tank along with the water parameters and methodologies employed provide enough data so that just about all of these tanks can be replicated. These photographs also demonstrate the level of success that is now achievable using standard methodologies. There will no longer be theoretical explanations as to what factors are necessary in order for a tank to be successful. In addition,just how successful a tank is can be quickly seen, so there can be little dispute of what is working and what is not. Initially this book was going to be a picture book, however when we realized how much data from great tanks we had available we decided to organize it and include it as well. Below is what some of this pooled data reveals about these tanks and what factors may be critical for success. Some of these factors are straightforward, while others are a little startling. The tanks chosen ranged in size from 40 gallons to over 20,000 gallons. Throwing out the outliers the average size is 260 gallons. While this is slightly larger than the tanks of most hobbyists it now a much more common size than was the case as little as ten years ago. The newest of these tanks is slightly over one year old and the oldest tanks have been up and running for over twelve years. Many of these tanks are newer and bigger editions of earlier tanks. 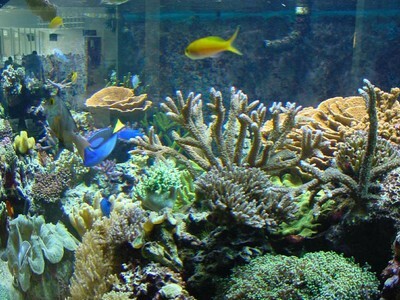 This is due to a number of factors including the fish and corals outgrowing the previous tanks, consolidation of several smaller tanks or moving by the tank’s owner. Unfortunately, it should also be noted that eleven of these tanks are no longer set up in the configuration shown here. This is due to such things as hurricanes, time constraints, and life changes. Tanks housing SPS corals predominantly were in 56% of the tanks, 24% of the tanks housed mostly soft and large polyped stony corals and 18% of the tanks have a relatively equal number of soft and sps corals. One tank (2%) housed fish only and live rock. In terms of filtration or the general methodology, 42, (84%) of the tanks use a protein skimmer as their primary means of filtration and would be classified as “Berlin” in their general approach. Interestingly 17 (40%), of these tanks also utilize a refugium of some type in their system either in their sump or as a separate unit. This is a dramatic change in philosophy in that up until a few years ago very few tanks utilized this approach. Utilizing algae or some other “natural” approach for filtration was used in 8 (16%) of the tanks. This move toward more natural methodologies was also in evidence by the low number of bare-bottomed tanks. Only 10% of the tanks used no substrate, which further illustrates the move to more naturalmeans for nutrient export through the use of bacteria and microfauna. In terms of additional filtration 74% of the systems utilized carbon to some extent to remove excess nutrients at least for part of the month. This was done in order to provide for maximum light penetration and was done in both Berlin and natural based systems. The use of water changes for export of nutrients was also done in a large majority of tanks with 92% of the tanks having water regularly changed in them. The percentage of water changed in these tanks ranged from 1 to 57% each month, with the average being 17%. This high percentage of water changes differs from the many anecdotal reports of never having to do water changes expressed by some hobbyists. The results shown in these tanks clearly illustrate the beneficial effect of performing this task. Curiously the average amount of water changed is not as great as might be expected. This is probably due to the meticulous care given to the tanks in so manyregards that really large water changes are not necessary. The overall amount of technology employed on these tanks varies as much as one can imagine. Several systems employ multiple monitors and computers to keep track and control the tank’s conditions while one system is so in balance that the only technology employed is a powerhead and timers for the lights. No skimmer, overflow, sump, etc. are employed making this one of the most elegant systems in existence. Even in this balanced system regular water testing is employed, so despite little technology being used assessing proper water chemistry is still done. Since the optimum way to light a tank in terms of spectrum, intensity, duration, etc. has stirred so much debate, the way these tanks are lighted proved quite interesting. 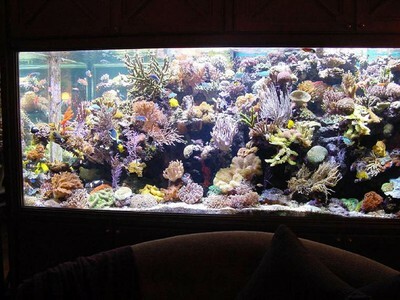 As noted above, 33 of the 50 tanks and a total of 42 of the 50 tanks house at least some sps corals. 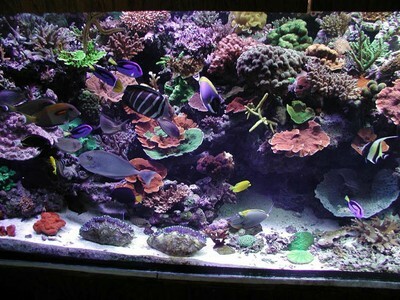 Since many factors that can determine exactly how much light is striking a tank and corals including which reflector is used, the bulb’s height above the water, the depth of the tank, etc. it is very difficult to come up with a perfect measure of light. So below are the generalities about the lighting used on these tanks. 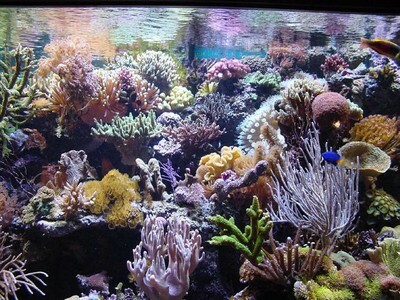 Of the 42 tanks housing SPS corals, 8 tanks use metal halide lamps exclusively and 5 use fluorescent lamps exclusively. Of these one used 6500K bulbs exclusively, 2 tanks used 10K bulbs exclusively and 1 tank used 20K bulbs exclusively with the remainder using mixed metal halide combinations. The tanks lit by fluorescent lamps still managed to get over 5 watts per gallon on average on them, which may help to account for their success. It is also interesting to note how few tanks use 6500K bulbs exclusively for lighting despite reports that these bulbs produce maximum PAR and accentuate growth in SPS corals. The remaining tanks use a combination of metal halide lamps and fluorescents to illuminate the tanks 29, (69%). For the tanks illuminated with a combination of metal halides and fluorescent lamps, 14 use 6500K lamps with Actinics, 12 use 10K lamps with Actinics and 2 use 20K lamps with either Actinics or daylight tubes. In addition 1 tank uses a combination of different metal halides along with fluorescent lamps. 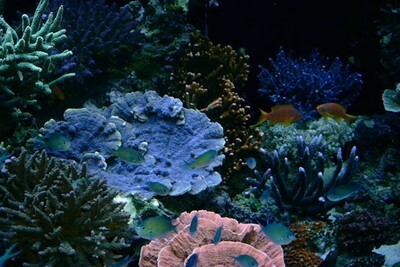 This wide variety of lighting used is probably due to the difference in coral coloration that results when different bulbs are used with different corals in different water conditions. In addition, different lighting combinations produce different lighting that appeals to different hobbyists. A more surprising result from this survey was how much light some of these tanks have over them. The conventional wisdom is that 4-5 watts of light per gallon will produce optimum coloration and growth. Some of these tanks use 8 or even 10 watts of light per gallon for illumination, which is significantly more light than had traditionally been recommended. Throwing out the 20,000 gallon mixed tank that only has .9 watts of light per gallon the average amount of light on the sps tanks is 6.45 watts per gallon. The amount of light ranges from 1.9 to 21 watts of light per gallon. The higher than expected average shows that more light is probably better. 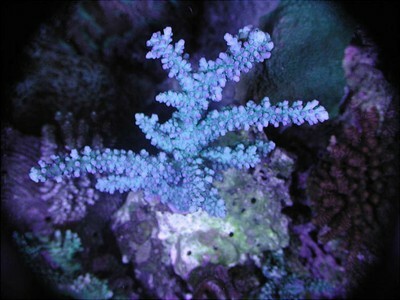 Once slowly acclimated to this lightingregimen, the growth and coloration of some of these corals is significantly better than is generally seen. Therefore, the amount of light necessary to optimize sps coloration may need to be rethought. One other factor about the lighting employed that should not be overlooked is the photoperiod of the lights. `There has been some debate as to not only how much light is needed, but also what is the optimum time that this amount of light needs to be present. The photoperiod for these tanks has a second component in that since many of these tanks employ actinics with the halides, there is a total photoperiod as well as a maximum intensity photoperiod. The total photoperiods ranged from 8 to 14 hours with an average of 9.8 hours. The maximum intensity photoperiod ranged from 1.5 to 10 hours. This measure provides another aspect of lighting that should be more thoroughly evaluated. 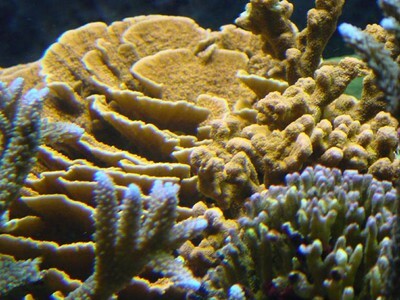 While lighting is a factor frequently considered in regards to the health of the corals, water movement is often only an afterthought or completely neglected. In this regard, the water movement within many of these tanks is much greater than that seen in many systems. Since the tanks varied so much in size it was necessary to come up with a value to try and equalize the total amount of water movement within the tanks. The resultant value was determined by adding all of the flow through the tank’s pumps, powerheads, surge devices, etc., per hour and dividing it by the tank’s volume to provide a value I call total turnover. While this is still a rather crude measure of water movement as it does not take into account factors such head, direction or randomness of the water movement, all of which are important to the flow throughout the tank, it still provides some sense of the water movement. The amount of turnover is all tanks ranged from 4 times per hour to 65 times per hour with an overall average of 17.32 times per hour. This amount of movement varied greatly in terms of how it was produced and how random or similar to surge it was. After looking at the numbers, it is readily apparent that the amount of movement overall is significantly higher than is normally recommended. This strong water movement undoubtedly plays a significant role as to why the fish, corals and other invertebrates are so healthy in these systems. As the means for improving the randomness of flow improves along with increased flow in general, improved water movement within a closed system will undoubtedly result in improved health of the animals as this data shows. In addition to good water movement and strong light, the removal or limiting of nutrients undoubtedly contributes to the health of these systems. Good water quality is indicated by the low amount of nutrients measured in these tanks. 36 of the 50 tanks showed 0.00 or undetectable levels of phosphate, and those with phosphate had levels averaging .036 ppm. These measurements were undoubtedly of inorganic phosphate, it would be interesting to see what these tanks measurements are for organic phosphate, which while being more difficult to detect may be more problematic in terms of nourishing algae and inhibiting calcification. In addition 26 of the 50 tanks also had undetectable levels of nitrate. Of the tanks that did measure any of this compound, the range was only .1- .20 ppm for nitrate. While there may be some question as to the accuracy, particularly at low levels, that most commercial test kits provide in regards to these compounds the lack of microalgae and health of theinhabitants in these systems indicates the measurements reported are probably not far off. Measurements of numerous other chemical and physical parameters were also provided in the survey. These included temperature, salinity, pH, calcium and alkalinity. While these may seem trivial, when averaged across the tanks they provide a standard that any tank can be compared against. That is, having the data from this many successful tanks provides a level against which one’s own tank can be compared should there be any problem. The temperature for these tanks ranged from 76 to 82F with an average of 78.48 F. The salinity levels ranged from 1.022 to 1.027 with an average of 1.0247. The average pH ranged from 7.95 to 8.4 with an average of 8.205. The calcium levels ranged from 300 to 500 ppm with an average of 410ppm. The alkalinity levels ranged from 6.5 to 15 dKh with an average of 9.81. Some other values such as iodine, strontium, oxygen magnesium, etc., were reported from only a small number of tanks so that optimal or average numbers are not reported here. Taken as a whole, the above reported numbers should provide hobbyists with a relatively straightforward example of what the levels of important measures should be in their systems. The level of achievement is shown by many things but is especially apparent by the health and vigor of the fish and corals present in these systems. 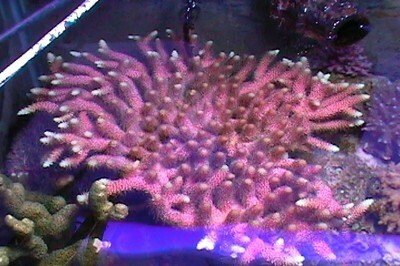 One way in which this is shown is by the bright coloration of the stony corals. 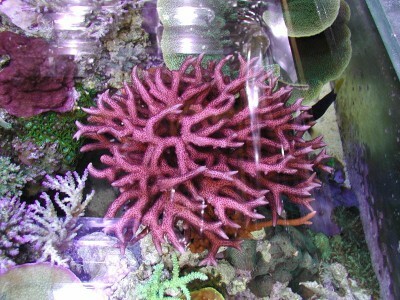 One of the early criticisms of stony coral tanks was that for the most part these tanks only contained brown corals and the only color in the tank was the purple coralline algae on the rocks. As the pictures of the corals in these tanks show, the hobby has evolved dramatically in regards to how brilliantly colored the corals in these tanks can be. 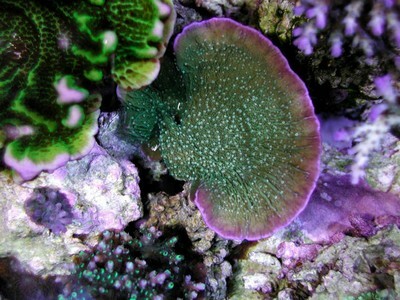 Now not only are the growth tips colored, which was often the only colored portion of these corals in the past, but now the entire colonies are brightly colored. 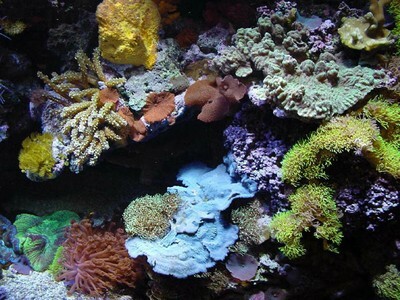 This is partly due to more brilliantly colored corals being collected, but also due to the improvements in lighting, waste removal, calcium supplementation and improved coral nutrition that are now the hallmark of most of these tanks. It is interesting tonote that many of the owners of these tanks trade fragments of these corals as a necessity of having to regularly trim these corals due to their robust growth. This also has the added benefit of distributing especially beautiful corals so that should something happen to the mother colony a daughter colony will survive and later a fragment from it can be re-established. The amount of data provided by the 50 tank owners is considerable. Over time as hobbyists go over and analyze this data the determining factors for success will become much more defined. Hopefully this data along with the pictures and descriptions of the many beautiful and successful tanks in this book will provide a blueprint for what is necessary to be successful rather than the conjecture and hearsay that has plagued the hobby in the past. Since a closed system is not the same as a small portion of a reef, regardless of how large the tank is, this data should go a long way in showing how to do things in order to achieve long term success.